Rafe Furst has never given up and today is at the forefront of one of the most game-changing technologies the modern world has ever known. 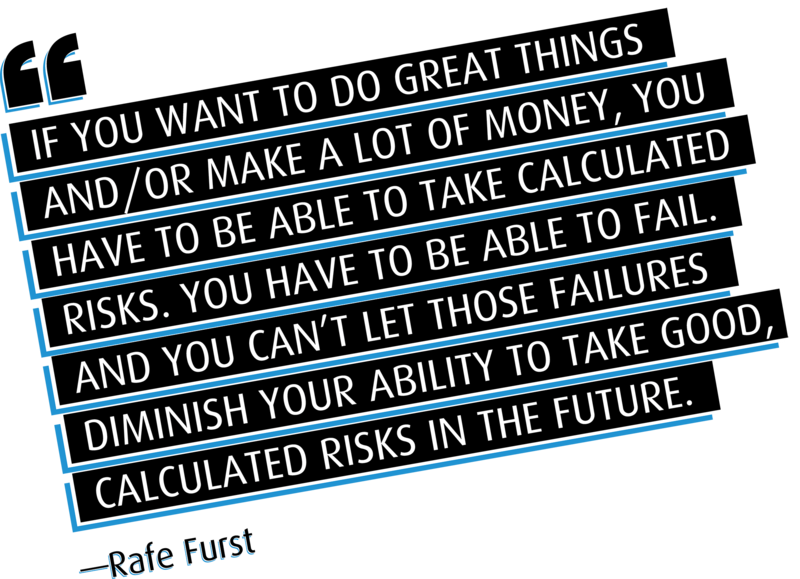 Serial entrepreneur, Rafe Furst, is no stranger to pressure. He played poker at the professional level and stared down other pros to win first place at a World Series of Poker event, netting $350,000 in prize money and a World Series of Poker Championship bracelet. 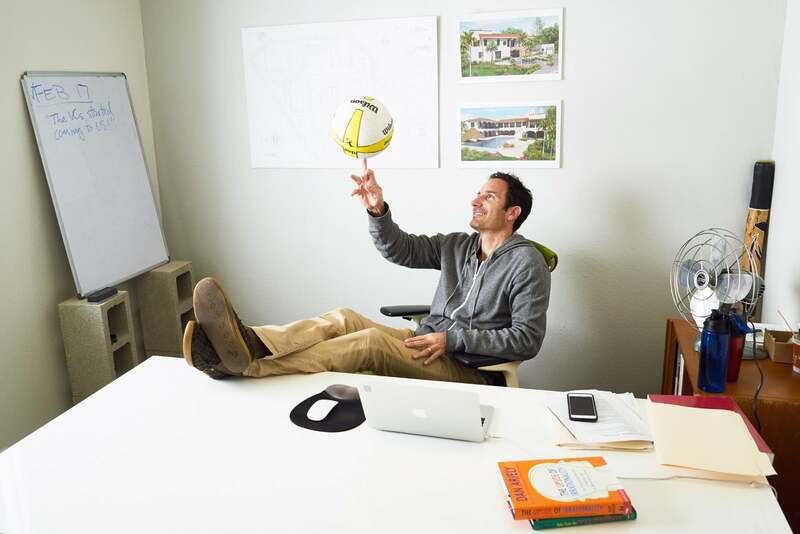 He has co-founded several companies, and personally invested in dozens of others at the early stage. He has also backed a unicorn startup and gotten stuck with dead horse investments, too. The key to any poker game, and the game of life, Furst believes, is to keep making smart decisions—even if you experience setbacks. Play enough hands where you have an edge and you’ll come out ahead. He doesn’t merely preach it. Furst faced one of the highest-pressure situations almost any entrepreneur can. In 2011, the online poker company he helped found, Full Tilt Poker, folded after the CEO committed fraud. Furst lost most of his fortune trying to make things right. The episode put stress on his marriage, his friendships and his mental health. But he pushed forward and came out on the other side stronger, wiser and ready to change the world. There’s no question that Furst bounced back in a big way. He resumed investing in early-stage startups. And he has used his impressive quantitative thinking to raise millions for cancer research, as well as design the personal investment contract, an innovative way to impact the lives of young people by investing in their future early on. Now, he’s taking what he believes to be the biggest and best calculated risk of his career. Furst believes he has cracked the greatest investment opportunity of a lifetime: cryptocurrencies. “I think it’s the most important technology since the internet itself,” Furst says. Startup investing is potentially one of the most lucrative bets you can make. That’s if you invest in the right companies. Gary Vaynerchuk recently revealed that had he invested $25,000 into Uber in 2010, his investment would have been worth $300 million today. He passed on the opportunity and wishes he had a time machine. Furst is a student of investment cycles and he believes that nearly everyone is doing it wrong. Investors work hard to source the right deals and work with the right people. The result is: they invest in a handful of deals per year. But that isn’t enough. “Investors try to pick winners, but that’s impossible,” says Furst. Furst should know. He did research in cognitive science and artificial intelligence at Stanford University, founded several startups, invested in dozens more, and cofounded Crowdfunder, a leading online equity crowdfunding platform. That platform connects thousands of entrepreneurs, including famous musician Neil Young and NBA star Yao Ming, to millions in crowdfunded capital. Crowdfunder currently has more than 130,000 members who fund millions of dollars worth of deals each month. 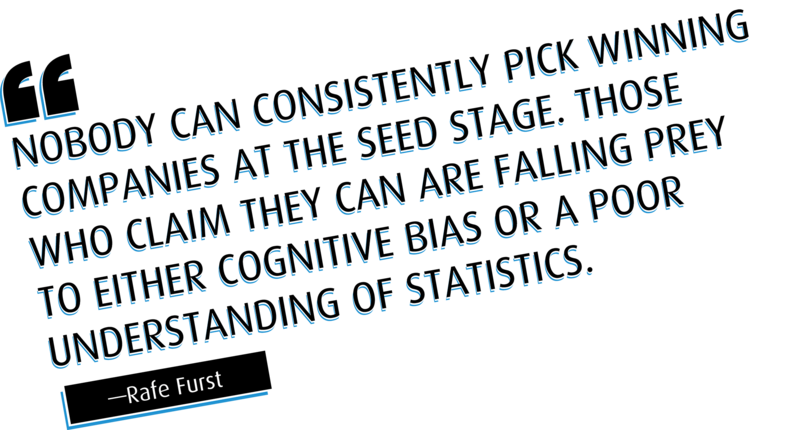 Through millions of poker hands, startup investing and his work with Crowdfunder, Furst developed second-to-none quantitative chops. Those chops helped him uncover a powerful investment insight. “Most VC funds do a dozen deals per year and most of them lose money because they’re not diversified enough,” says Furst. Modeling data from Right Side Capital, a quantitative VC firm he helped form and invested in, suggests you need over 300 companies in your portfolio if you want to achieve the market average with 85 percent certainty. Now, Furst is applying that logic to another opportunity, which he believes is bigger than investing in winning startups in the seed stage: cryptocurrencies. From Full Tilt to the other side of the coin. Cryptocurrencies are decentralized digital assets, traded using technology called blockchain ledgers. Bitcoin is one such currency, but there are over 800 in existence. Cryptocurrencies provide a much-needed update to how money and other assets are valued, transferred, and used by both people and governments. And Furst believes this need will cause the market capitalization for cryptocurrencies to skyrocket. So far, he’s right. In the last two years, the overall cryptocurrencies market capitalization has grown almost 30x, minting millionaires many times over. Now, Furst wants to get everyone in on the game. Furst’s love of poker led him to the group that started Full Tilt Poker, one of the biggest online poker forums in history. Despite massive financial success, Full Tilt didn’t end well. Furst was one of 23 investors and one of four board members of the software company that launched Full Tilt Poker. They empowered the CEO with full operational responsibility and were distributed a percentage of profits. This was a gamble that paid off handsomely for four years, until the CEO noticed a gaping hole in the company’s balance sheet. Unfortunately for all involved, the CEO hid the shortfall and paid investors with operating capital, not profits, for several months. The CEO ultimately pled guilty to fraud, but not before destroying Full Tilt. Furst spent untold energy fighting to keep the company afloat, and was rewarded by the U.S. Department of Justice with a civil lawsuit to recover all of his profits. Ultimately, Furst settled and was cleared of any wrongdoing — though he lost most of his money in the process. This dangerous cocktail of professional pressure, anxiety and public scrutiny had heated Furst’s mind to a boiling point far beyond that which most entrepreneurs experience. It led to a mental and emotional breakdown. But, thanks to the support of his family and friends, he bounced back and changed his life’s trajectory. The experience gave Furst much-needed clarity. He knew he wanted to do something big. Back in 2011, Bitcoin was the only cryptocurrency in existence. And while Furst took a gamble and invested in it, it was clear to him that it would take the rest of the world a while to catch up in understanding the significance of Bitcoin. So he launched full bore into Crowdfunder for four and a half years. By late 2016, there were hundreds of currencies and he became convinced that the blockchain and cryptocurrencies were getting much closer to the point of changing the world. “It’s the decentralization of money and power,” Furst says. Bitcoin and other cryptocurrencies are backed by the power of distributed networks, just like many startups and open-source software projects. As such, cryptos (as they are known colloquially) are not burdened by operational inefficiencies of centralized bureaucracies, and can appreciate in value quite rapidly, especially if they prove useful to the marketplace. But, Furst learned a crucial lesson from his VC and poker days: the more bets you spread out over time, the better chance you have of hitting the jackpot. That’s exactly what he’s doing with his new venture, The Crypto Company. “With The Crypto Company, you don’t have to worry about the technicalities and risks of buying and selling individual cryptos. We are a holding company for a basket of cryptos and providing a basket of consulting services to other holders of similar assets,” Furst says. Right now, investing in and cashing out of cryptos is a laborious process that often requires bank transfers between multiple online exchanges and parties, and several layers of verifications. Instead of the hassle, The Crypto Company will offer direct and indirect exposure to dozens of different cryptos. As a result, The Crypto Company has wide exposure to the cryptocurrency market, one which Furst and others believe can be a trillion-dollar market within the next five years, as he expects banks, governments and institutions will jump on-board. For some perspective, the market capitalization for cryptocurrencies has grown approximately 6x in the first half of 2017 to over $100 billion. Furst calls this huge number merely a “rounding error” compared to the trillions of dollars traded and transferred by financial institutions in commodities, derivatives and gold daily. Furst was forced to fold a money-making hand in Full Tilt Poker. But he came out on the other side even stronger. He sees cryptocurrencies as elevating the game of startups to a whole new level. In fact, Furst believes that cryptocurrencies are the new startups, but with even bigger advantages: crypto networks are decentralized and the tokens are liquid right away.